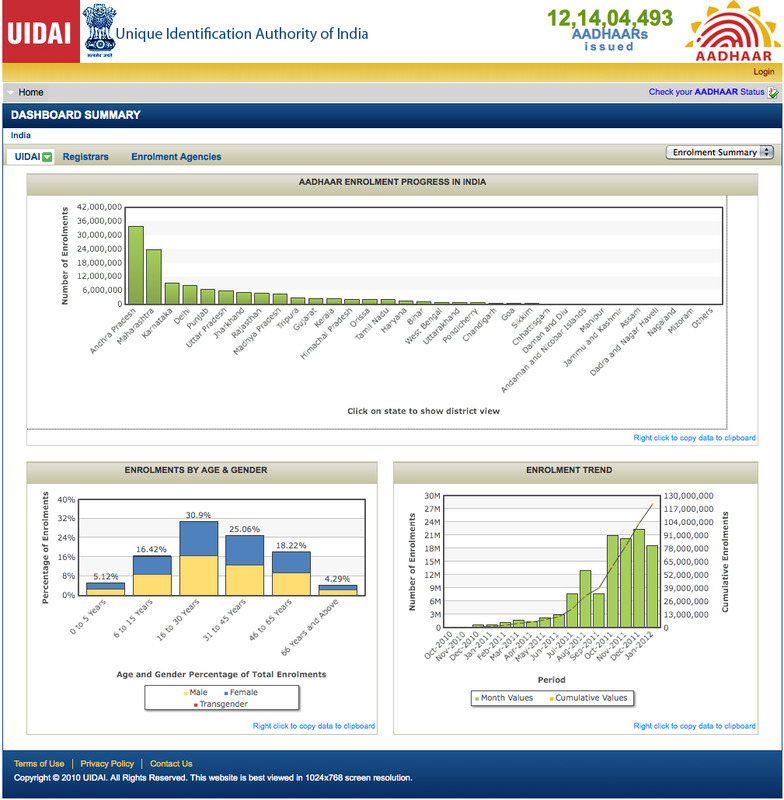 Today’s brief entry is the first to examine the current Government of India (hereafter GOI) UIDAI website. As per the last entry, I am hoping to begin to address the process of de-duplication: techniques, rationales and presumptions, politics, experience, critique. UIDAI has a public website: currently, I seem only to be able to access Hindi and English versions. The Hindi is found at http://uidai.gov.in/hindi/ and the English at http://uidai.gov.in/ (the public of Universal ID does not seem yet to extend to other language spheres): at least in the few sections of both blogs, they had sentence for sentence matched content which appeared to be a translation from the English to Hindi. 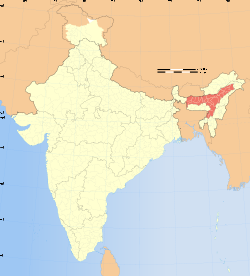 दोहरापन may not have the same semantic and affective resonance as the Hindi-English “duplicate”/डुप्लिकेट. The main web page in either language directs one to a link marked Aadhaar Technology. [Aadhaar (आधार), the other name for the UID, can translate as basis, ground, fundamental]. Process to ensure no duplicates: Registrars will send the applicant’s data to the CIDR for de-duplication. The CIDR will perform a search on key demographic fields and on the biometrics for each new enrolment, to minimise/eliminate duplicates in the database. The incentives in the UIDAI system are aligned towards a self-cleaning mechanism. The existing patchwork of multiple databases in India provides scope to individuals to furnish different personal information to different agencies. Since de-duplication in the UIDAI system ensures that residents have only one chance to be in the database, individuals are made to provide accurate data. This incentive will become especially powerful as benefits and entitlements are linked to Aadhaar. Online authentication: The Authority will offer a strong form of online authentication, where agencies can compare demographic and biometric information of the resident with the record stored in the central database. The Authority will support Registrars and Agencies in adopting the Aadhaar authentication process, and will help defining the infrastructure and processes they need. The CIDR is essentially a service provider to the UIDAI and will provide services which include the processing of enrolment and authentication requests as prescribed, and following pre-defined service standards. The CIDR will also develop the operating procedure for interface between the CIDR and Registrars. The CIDR will also establish and maintain a grievance redressal system to address grievances about the failure of service of any of the service providers. So, one of the first things we need to understand is the “system of positions,” to misuse the phrase of anthropologist Jeanne Favret-Saada. We earlier encountered the dyad of the ‘registrar’ and the ‘resident’: here we have some kind of chain linking UIDAI—CIDR—Registrar and thus to the Resident. Okay, more to learn about. The point here is that CIDR is in immediate charge of the problem of duplication, and CIDR is apparently also both omsbudsperson and auditor to collect and address complaints against Registrars and others. If I understand the technical language correctly [I doubt that I do, yet]: the Registrar sends the ID data, I presume both biographical and biometric, on to the CIDR, which in turn ‘authenticates’ both data and enrollment process and somehow ‘de-duplicates’ differing and somehow incommensurable versions of identity the Resident (client/common man/citizen) has managed (erroneously or on purpose) to relate to varied “agencies” of the state, the archipelago of NGOs, and the corporate formal sector. The registrant or Resident enters the process under a cloud, as it were, of being or having a duplicate. His or her formal entry into the new system must ensure that no such duplicates in fact exist. But—and here again is a flicker of the promise of UIDAI to end corruption—this selfsame CIDR not only polices duplicate persons/files but also the varied agencies that can act as Registrants. 1) The iron cage: even if the UIDAI is both in good faith and accurate in its prediction that UID will offer greater accountibility and some measure of social or distributive justice, its promise of de-duplication ends the availability of redundant identity as a feature of living with and under the state. In earlier work, I borrowed Roma Chatterji’s concept of the file self [developed to describe how staff in a Dutch old age home constitute the personhood of demented residents through the selective and strategic citation of their medical case files] to argue that families and other loved ones of hospital patients I was working with in Varanasi in north India strategically and selectively presented their relation’s case files to medical personnel to achieve varied outcomes, or attempt to do so. The “file” in this sense consisted of an assemblage of traces of earlier clinical events and encounters. Each offered a certain identity and generated a certain range of outcomes. The effective challenge in presenting a relation to a busy and perhaps arrogant physician in a government hospital was to augment and winnow these trace identities. More broadly, I will frame the clinical encounter as an effort (with its attendant failures, of course) to constitute a relation to an often more powerful and variously disinterested or distrustful officer/clinician/expert/agent through the management of redundancy. What happens when the possibilities of the redundant erode, here under the pressures of presumptive rationalization? One way out, if a way out is to be sought, is to argue for the rationality of redundancy. Evolutionary biologists have been one source of powerful thinking about redundancy in biological systems, and systems engineering more generally has developed complex models of what I will call critical redundancy. But redundancy is fought, here, for the UIDAI, because the duplicate is always assumed to be the counterfeit. Note too the language here in the web discussion of de-duplication as ‘self-cleaning.’ More on this I hope to come. Today’s article like the one I looked at a few days ago was published in September 2010, in this case from the New Delhi based Financial Express. This is a long article, available online at http://www.financialexpress.com/news/why-egovernance-is-important-for-the-common-man/677562/0. The introduction of e-governance in India started in the late 60s and early 70s with an emphasis on computerising applications for defence services, economic planning, national census, elections tax collections, etc. However, from the early 90s, e-governance has taken on a broader dimension, using IT for wider sectoral applications with a policy emphasis on reaching out to rural areas and taking in greater inputs from NGOs and the private sector. While the emphasis was initially on automation and computerisation, the later forays began to encompass connectivity, networking, setting up systems for processing information and delivering services. What exactly does this “service delivery” entail? At a micro level, this ranged from IT automation in individual departments, electronic file handling and access to entitlements, public grievance systems, service delivery for high volume routine transactions such as payment of bills and tax dues to meeting poverty alleviation goals through the promotion of entrepreneurial models and provision of market information. The implementation of the National e-Governance Plan (NeGP) in May 2006 was with the vision of making all government services accessible to the common man in his/her locality through common service delivery outlets to ensure efficiency, transparency and reliability of such services at affordable costs. For e-governance projects to be successful, they also have to be user friendly to create real accessibility for the common citizen, the poor and the backward, thereby fulfilling the vision of e-governance. 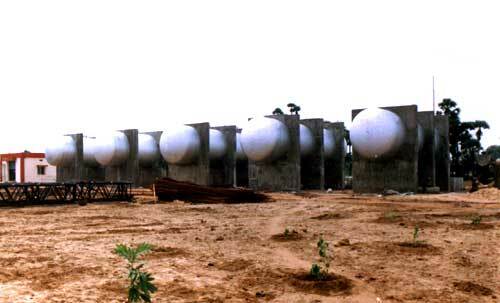 NeGP currently consists of 27 mission mode projects (MMPs) and 8 support components to be implemented at the Central, State and Local government levels. These include projects such as income tax, customs and excise and passports at the Central level, land records, agriculture and e-district at the State level and panchayats and municipalities at the local level. Efficiency and access are the key, but note the caveat: these benefits only accrue if e-governance is used “effectively.” How effectiveness is to be assessed, and promoted, is not stipulated at this point. The effective use of ICT services in government administration has greatly enhanced existing efficiencies, driven down communication costs and increased transparency in the functioning of various departments. It has also given citizens easy access to tangible benefits, be it through simple applications such as online form filling, bill sourcing and payments, or complex applications like distance education and tele-medicine. It is worth talking about Aadhar—the new Unique Identification (UID) project which aims at providing a 16-digit identification number to all citizens of India. With this project, India will be the first country to implement a biometric-based unique ID system for its residents on such a large scale. The importance accorded to the UID project is reflected in the roping in of Nandan Nilekani to head it with the rank of a Cabinet minister and the constitution of a special group of Union ministers headed by Prime Minister Manmohan Singh to oversee its implementation. Nandan’s reputation for both strategy and execution is formidable and the project is being rolled out in record time. Inability to prove identity is one of the biggest barriers in India that prevents the poor from accessing benefits and subsidies. This holds true for public as well as private sector agencies and till date, there remains no nationally accepted, verified identity number that both residents and agencies can use with ease and confidence. 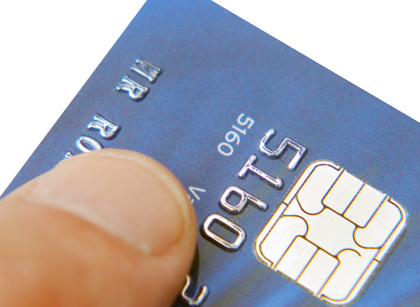 As a result, every time an individual tries to access a benefit or service, they must undergo a full cycle of identity verification. Different service providers also often have different requirements in the documents they demand, the forms that require filling out and the information they collect on the individual. There are clearly, immense benefits from a mechanism that uniquely identifies a person and ensures instant identity verification. The need to prove identity only once will bring down transaction costs for the poor. A clear identity number would also transform the delivery of social welfare programmes by making them more inclusive of communities now cut off from such benefits due to their lack of identification. It would enable the government to shift from indirect to direct benefits, plugging massive leakages and helping verify whether the intended beneficiaries actually receive funds/subsidies. A single, universal identity number will also be transformational in eliminating fraud and duplicate identities, since individuals will no longer be able to represent themselves differently to different agencies. With proper implementation, the transformative potential of the UID scheme can be enormous. It could enable easier access to a wide number of services such as bank accounts, passports, driving licenses and LPG connections. Proof of identity and greater financial inclusion could lay the basis for checking fraud and corruption, avoiding duplication and targeting intended beneficiaries for a range of programmes such as the NREGS and the PDS. For residents, the UID will become the single source of identity verification. Once residents enroll, they can use the number multiple times—they would be spared the hassle of repeatedly providing supporting identity documents each time they wish to access services such as obtaining a bank account, passport, driving license, and so on. By providing a clear proof of identity, the UID will also facilitate entry for poor and underprivileged residents into the formal banking system and the opportunity to avail services provided by the government and the private sector. The UID will also give migrants mobility of identity. For registrars and enrollers, the UIDAI will only enroll residents after de-duplicating their records. This will help registrars clean out duplicates from their databases, enabling significant efficiencies and cost savings. 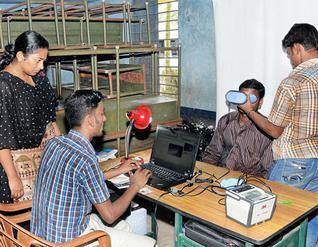 For registrars focused on cost, the UIDAI’s verification processes will ensure lower KYR costs. For registrars focused on social goals, a reliable identification number will enable them to broaden their reach into groups that till now have been difficult to authenticate. The strong authentication that the UID number offers will improve services, leading to better resident satisfaction. For governments, eliminating duplication under various schemes is expected to save substantial money for the government exchequer. It will also provide governments with accurate data on residents, enable direct benefit programmes and allow government departments to coordinate investments and share information. With the growing need to free society from corruption and making technology accessible to the common man, dependency on such projects will increase. One very crucial barrier that e-governance projects will remove is the artificial barrier. 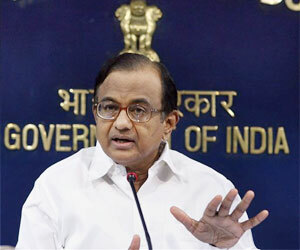 The common man is happy to see the reduction in the queue to pay utility bills. This has been successfully achieved in states such as AP, Karnataka, Tamil Nadu, etc. India will be the first country to implement a biometric-based unique ID system for 1.2 billion residents. The UID will serve as a universal proof of identity, allowing residents to prove their identity anywhere in the country. The timing of this initiative is encouraging—the creation of the UIDAI coincides with growing social investment in India, a shift in focus to direct benefits, and the spread of IT and mobile phones, which has made the public receptive to technology-based solutions. In the next 5 years, we see e-governance realising its vision of making all government services accessible to the common man in his/her locality. An inter-connected, inter-operable, efficient, transparent and accountable government, with services reaching every citizen irrespective of geography, region or accessibility will create a phenomenal impact at the grass roots level in the rural and semi-urban areas. 1) The key claim is that technology here enables transparency, accountability, and greater control both by a state of its population and by a population [“the common man,” the “public”] of its state. But for this to occur the technology must be properly “implemented.” Implementation is taken as a technical matter beyond the scope of the argument: our only clue as to effective implementation is that it requires an effective leader to break the cycle of obscurity, interest, and corruption and achieve something exceptional. 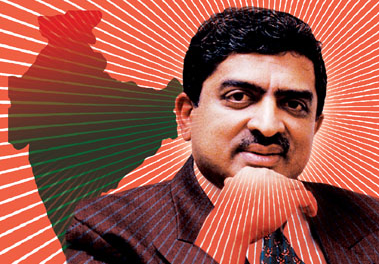 The Heroic Individual is thus the key to implementing technological governance: here, Nandan Nilekani. I think of conversations with Rashmi Sadana on her work on the Delhi Metro: again, both the considerable achievement of the Metro and its exceptional status, not part of the existing structure of institutions (Indian Railways) and law, is closely associated with the heroic capacity of its director, Dr. E.Sreedharan. In a related way, certain public conversations and apparent social movements organized around “anti-corruption” are similarly closely linked to the person of an extraordinary individual, in 2010-11 powerfully to Anna Hazare. The point is not to argue for a transhistorical figure of sovereign exception. It is to recognize that the failure of welfare and governance is to be transformed through a rationalization of government and citizenship that depends not upon a depersonalized bureaucracy but a heroic leader. Or so it seems to me at this very early moment in thinking all this through. 2) De-duplication is interesting: who controls, who has rights in the information, the files, the names, and the programs to be de-duplicated? The movie Duplicate I discussed last past is in some sense a saga of de-duplication. Manu must be killed. Babloo becomes the Universal subject and gets married. Putting the film aside again, I think I will need to attend early on to de-duplication as a question of sovereignty. For now, I will term the contrastive logic — of governance, of the ethical, of the managerial — that of redundancy. 3) Mistrust: the poor are those who cannot verify their identity with trustworthiness, leading to a repetition of the scene of verification, both cause and effect of corruption. But how do we understand the presumption of untrustworthiness? This again is the opposition at stake in the film Duplicate: between the identification papers produced by Babloo’s mother, full of photos of the man in question in relation to family and God, versus the papers produced by the police, with the biometric proof of a thumbprint.